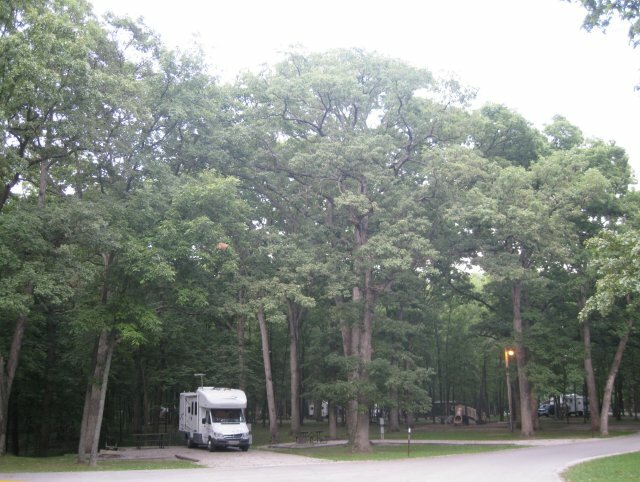 The photo shows the huge oak trees at Ramsey State Park. We gave Maine the award for the Worst Roads. The best road was the Trans-Canada Highway in New Brunswick. Today was our last day. We had the View washed and waxed in Paducah. At the shed in Murray, we packed just about everything into the car, cleaned the motorhome inside, and headed for the boat at Kenlake Marina for the weekend.